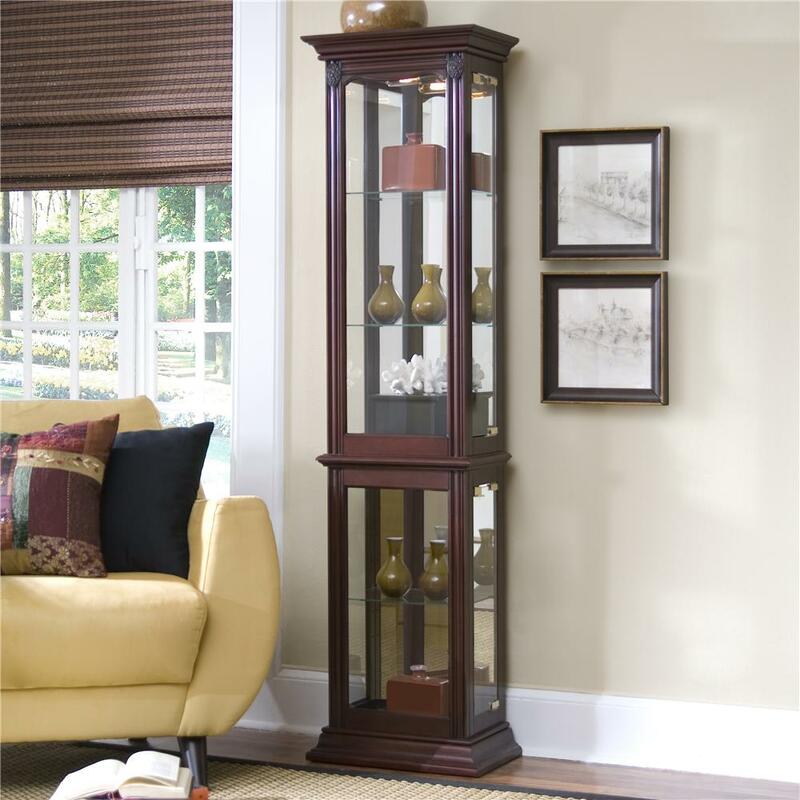 This cabinet features a beautiful brown wood frame with glass shelves, glass sides and lighted top. 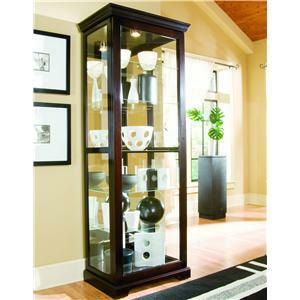 This petite curio will look nice in a living room, corridor or bedroom to display all your prized possessions and collectibles. The Curios Curio Cabinet by Pulaski Furniture at Miskelly Furniture in the Jackson, Pearl, Madison, Ridgeland, Flowood Mississippi area. Product availability may vary. Contact us for the most current availability on this product. The Curios collection is a great option if you are looking for furniture in the Jackson, Pearl, Madison, Ridgeland, Flowood Mississippi area. Browse other items in the Curios collection from Miskelly Furniture in the Jackson, Pearl, Madison, Ridgeland, Flowood Mississippi area.